Rob begins his white-water training on Monday, so we are enjoying our last weekend of freedom. It was such a beautiful day today that we decided a drive was in order. 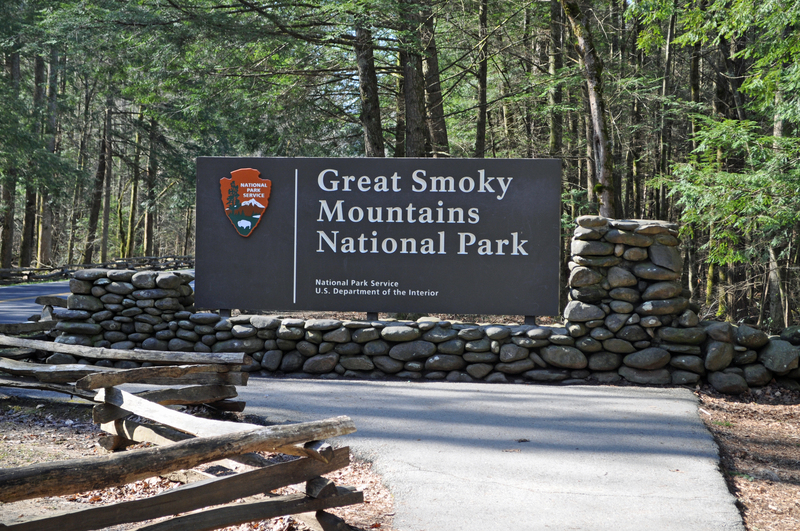 About 25 miles down the road is the entrance to Great Smoky Mountains National Park. We hadn’t been there yet, and it was about time we added a new stamp in out National Parks Passport. While there are miles and miles of trails we plan to hike over the course of the summer, hiking was not on the menu today. Our main goal was simply to check out the area. Much to our surprise, there is no entrance fee to get into the park. Instead, it is run off of donations and sales from the gift shops. Some of the roads are still closed because of snow and ice, but we were able to drive up to the top for a scenic overlook. It does not look like much now, mostly because of the large number of deciduous trees, but in a few weeks time, it will come to life with about 50 (or perhaps even more) shades of green and will be absolutely beautiful. 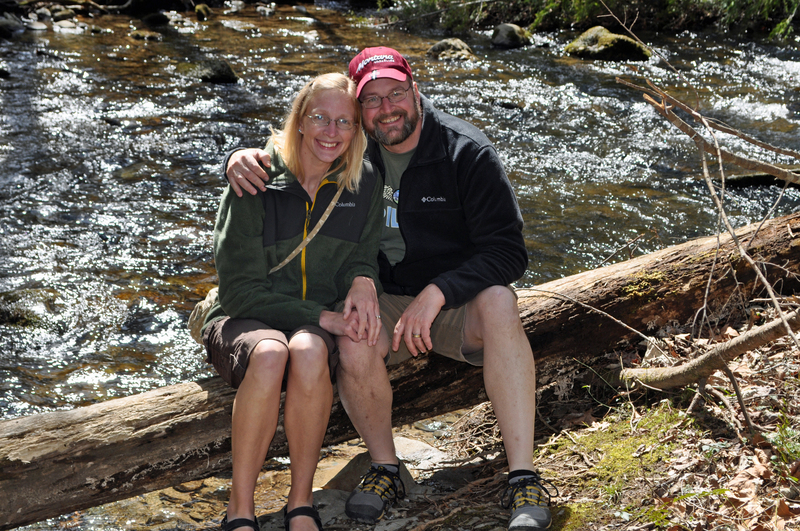 After a stop into the visitor’s center for our customary sticker and pin, and information on the trails, we took a nature trail that led to a small waterfall. Many other people had the same idea today because of the warm and inviting sunshine. 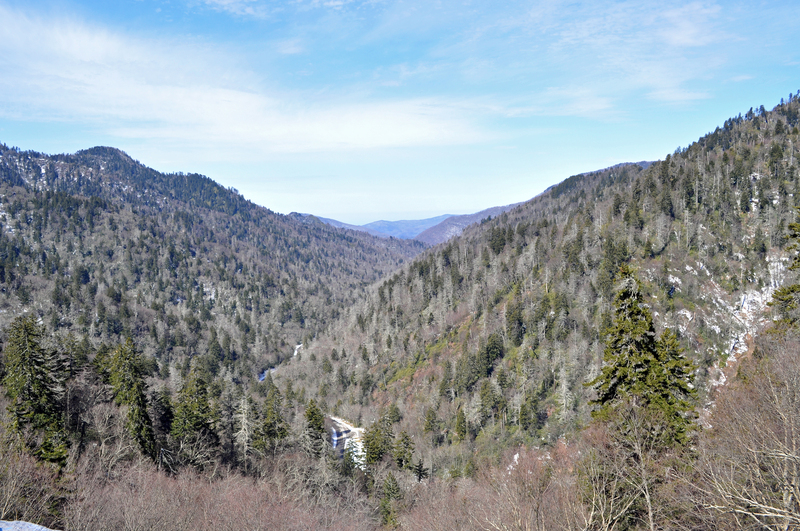 As we were driving home through Gatlinburg, Tennessee, we were amazed at how many people were walking the streets! If I didn’t know better, I would have thought it was the middle of summer and not mid-March. Tomorrow is supposed to be another sunny day, and who knows what it will bring. Hope you are enjoying beautiful weather in your neck of the woods! 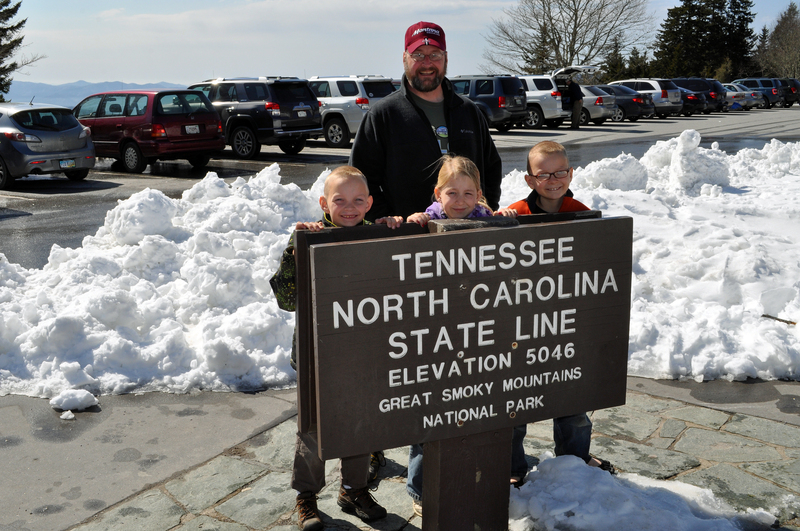 This entry was posted in Crazy Kids, Daily Life, Family Adventures, Random Thoughts, RV Life, Travel and tagged Gatlinburg, gatlinburg tennessee, Great Smoky Mountains, hiking, nature, outdoors, smoky mountains national park, spring, Tennessee, trails. Bookmark the permalink. stunning photos…it is great to see you and Rob in one together…and don’t the children look happy and contented…..whta a lovely family you have ! Every now and then I have to cooperate and actually be in a picture or I get in trouble. I definitely prefer taking them over being in them, though! Love your pictures! Nice day for an outing! We got snowed on in Red Rock Canyon down in Las Vegas! What gives? I was hoping for a little warmer weather than we were having at home, but no such luck. It was sunny but a little cool and breezy for the race. It didn’t take away from the enjoyment of the day though. Sorry you had snow!! Hopefully we have seen the end of it for the season, though you never know!